DESOTO—Police are investigating the Friday night murder of an 81-year-old DeSoto resident in his own driveway. According to preliminary reports, at 4:43 am Saturday, April 15, 2017 DeSoto officers were on scene at a shooting in the 400 block of Summertree Lane. The victim identified as T.G. Grady, was later declared dead at the scene. T.G. Grady’s widow says she was in a state of panic when he didn’t come home that night. She called him several times, but he didn’t answer. It wasn’t until early Saturday morning that she learned he’d been the victim of a violent crime, right in the driveway of their Southwest DeSoto home. Apparently Grady was shot the night before. Police say a neighbor reports hearing what they believed to be gunshots around 11 p.m. Friday, but did not call 9-1-1. Coincidentally, that is around the time another neighbor’s home surveillance cameras caught images of a man who appears to be holding a gun. 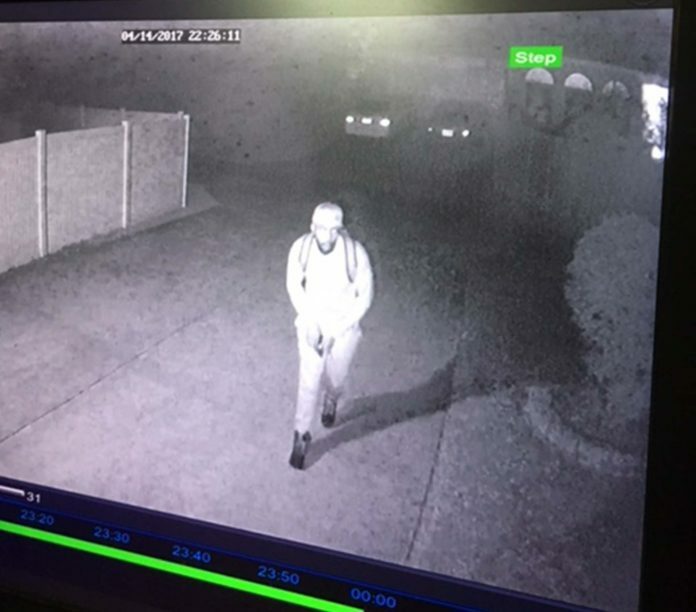 It’s time stamped 10:26 p.m. DeSoto Police now consider that individual to be a person of interest. Thelma Grady is asking anyone with information about her husband’s murder come forward. T.G. retired years ago, but started using his trailer to make some money moving furniture. That’s what he was doing Friday night. “He was always smiling and talking to everybody, you know, and I can’t imagine who would do him that way,” said Thelma. In the meantime, Thelma Grady grew concerned. Around 4 a.m. Saturday, she had a feeling she needed to look out the front door. She says she found T.G. shot in the chest, slumped over in the driver’s seat, holding a pen, with the door wide open and his work cooler in the street. “All I was looking at was, you know, his face and trying to wake him up when I realized, you know, he was gone,” said Grady. Authorities are working to identify the person in that photo. At this time police and family don’t know whether anything was missing from T.G. Grady. “Cameras are tangible reminders that God always sees us,” Rev. Dr. C. Dennis Williams said after Smith Chapel A.M.E.’s Resurrection Sunday service. Working as a baggage man when DFW Airport opened in Dallas, Grady retired from Delta Airlines more than 25 years ago. Since then no one could slow him down. 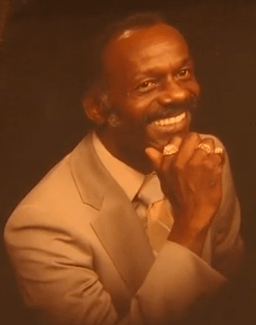 He had a hauling business, and served as an usher at Smith Chapel A.M.E. in Dallas. Finally, anyone with information regarding Grady’s murder should contact the Southwest Regional Communications Center at (972) 223-6111. If you wish to remain anonymous residents can send tips via text message to 847411. Please be sure to include DeSoto in the subject line of the text.